The Pink gala is a celebration of courage and life! Join us at this annual event in the Southern Tier. 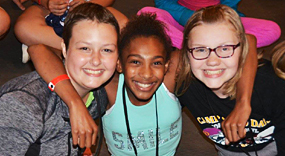 Children from around the world who are diagnosed with cancer enjoy fun and friends at Camp Good Days.